The Anatomy of a Disciple has taken the Gospel accounts, observing the life and ministry of Jesus, and identified 8 elements of Christ’s life that ought to be reflected in our lives as well. In less than 30 minutes, The Anatomy of a Disciple Self-Assessment will identify areas where you are becoming more like Christ and areas that are far from the Lord. Your personalized profile will provide clear, quantifiable data so you can articulate with clarity exactly how you are doing spiritually. 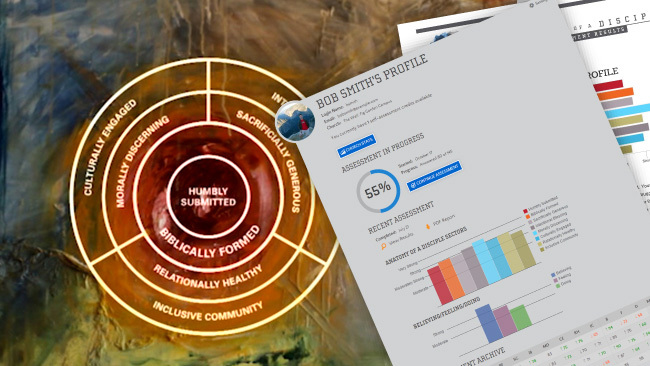 Use your assessment results as a companion to The Anatomy of a Disciple: So Many Believers. So Few Followers., an incredibly fresh, practical and relatable read, providing a fuller, complete picture of the 8 individual elements and what it means to be an authentic disciple, and therefore, how you can make disciples. The Anatomy of a Disciple provides awareness that will both motivate you to move and give you a direction to go. Develop an action plan that will allow your spiritual life to move beyond mere external modifications of behavior to recognize what God is doing inside you as it flows outward. Exploring discipleship in small groups? Purchase five or more assessments for your small group, classroom, or office and take 50% off each assessment. At the completion of your transaction you’ll receive a unique code to distribute to your group.